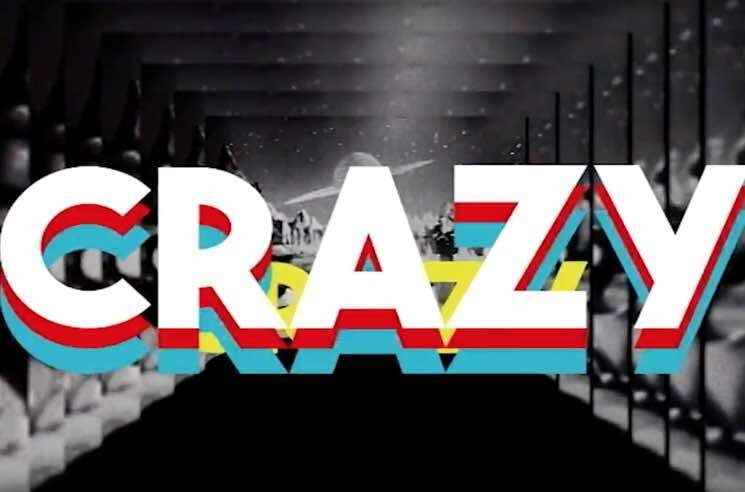 BC indie rockers Yukon Blonde recently followed up 2015's On Blonde with a 10-inch single boasting new songs "Crazy" and "Emotional Blackmail," and the former track has just been given the lyric video treatment. The clip pairs the words to the song with retro geometric patterns that flash across the screen, taking viewers on a space-y journey complete with a aliens, flying saucers and a rocket ship made out of lipstick. Watch the clip down below. Yukon Blonde are currently on tour with the Rural Alberta Advantage, and you can see the remaining North American dates here.